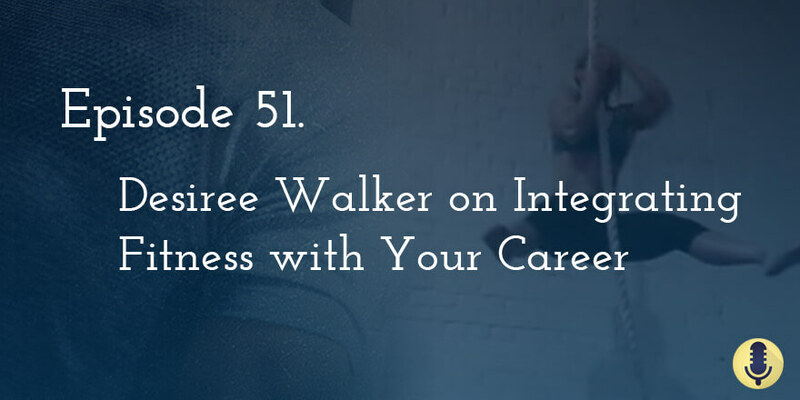 Scott’s former client, Desiree Walker, joined us to discuss her amazing office gym set up, and the way she’s integrated her fitness with her work as a dentist. Desiree’s competed in on Ninja Warrior, she’s won a Crossfit championship, she’s been a Pro Figure competitor, and now works as a dentist — while still keeping amazingly active and fit. Desirée Walker is a general dentist, owner of her start-up practice, Lumber River Dental. She is a fellow of the International College of Dentists (2016), a member of the Academy of General Dentistry, the New Dentist Committee, and the American Association of Women Dentists. She has been published in Dental Economics, Dentaltown, Incisal Edge, and a variety of dental blogs. Now, that’s the dental stuff. She is also a two-time competitor on NBC’s American Ninja Warrior, a two-time national fitness champion, pro fitness competitor, and an adult gymnastics competitor. She has been an nationally ranked as an amateur triathlete competitor, Boston Marathon Finisher, and Crossfit champion. She has creatively integrated her love of fitness into dentistry by transforming her private office into a Ninja training suite – equipped with rings from the ceiling, bars on the wall, and a balancing slack line. Before coming to Scott, Desiree’s coaches had given her a very outside-in approach. In other words, they prescribed diet and training according to an arbitrary time frame: she was such-and-such “weeks out,” so let’s cut calories and add another hour of cardio, that sort of thing. When Desiree came to Scott for coaching, he didn’t do anything magical so much as just realize he needed to let her genetics and her athletic background go to work for. She cleaned up by doing zero cardio, because that’s what her body needed. What she was doing before wasn’t “leaning her out…” it just just draining her. Desiree did a version of Scott’s 5-Day MET for her contest. Desiree has “wall bars” or “stall bars” on her office wall, which gives her a lot of flexibility for training. The bars themselves can be used for chin ups and gymnastics movements, and on top of that, you can attach resistance tubing or resistance bands to them for MET style training. In her door is a chin up bar. Desiree’s desk is a standing desk and she has a floor balance beam right near it. Desiree also recommends wearing clothes you can move around in. Both she and Mike like Betabrand [Note, that’s a referral link, which gets you $15 off – M] which makes nice-looking clothes that actually let you move.